Warner Club Villa - 2 + 2 - Woodland Hills, Ca. Warner Club Villa Townhomes provides a beautiful living space and lifestyle! 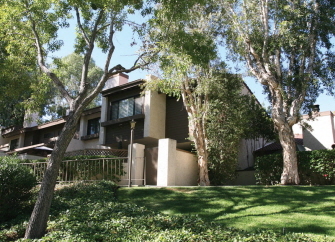 Interior Features Updated and Beautifully Upgraded and Maintained "Warner Club Villa" Townhome. Large Master Suite features Vaulted Ceilings, Custom Shuttered Window, Huge Custom Walk-in Wardrobe Closet, Updated and Roomy Master Bath, Cook's Kitchen includes customized Cabinets, Granite Counter, Stainless Appliances and Sink. Large Second Bedroom. Guest/Second Bathroom features a custom Vanity and tiled Tub/Shower. Family-sized Living Room with Fireplace and Glass Slider to Private Patio. Exterior Features Watk out your Doors and be greeted with the world of Warner Center Shops, Theaters, Restaurants, Businesses, Transportation and Parks. Stroll through the Warner Club Villas "Park-like" Grounds with 2 wonderful Pools, Spas and a Tennis Court.